FCG would like to thank the unstoppable Lucas Cabral for interning with FCG since the beginning of 2014. Lucas has been an invaluable member of FCG’s operations, assisting with the input of incoming exhibition submissions, Student Engagement Committee events, and many, many exhibition reviews. 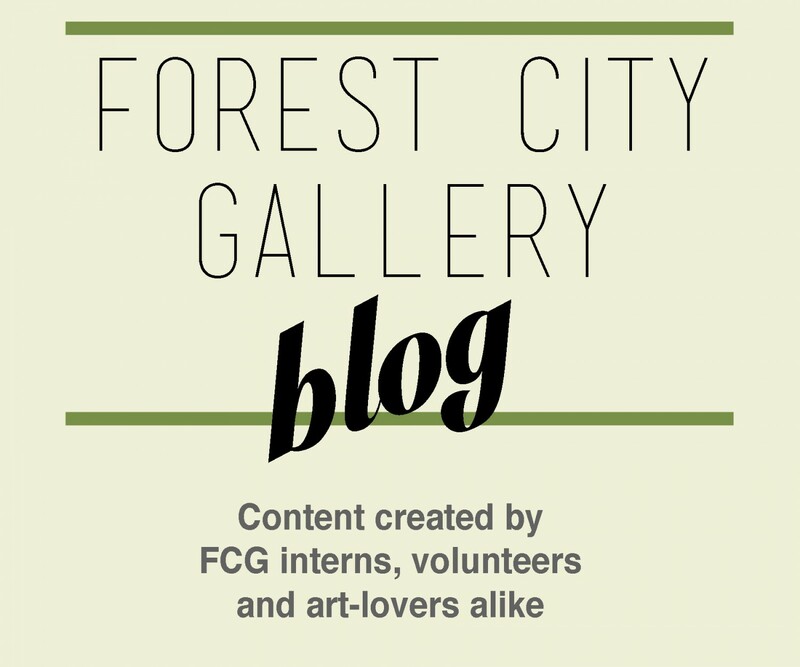 To say farewell to Lucas, here is a short article he wrote on FCG’s past exhibition Syncopate For by Scott Bertram. Enjoy! Forest City Gallery was proud to display Syncopate For an exhibition by Scott Bertram, featuring a series of abstract, intuitively-created paintings. Bertram received his BFA from the University of British Columbia and his MFA from NSCAD. Bertram was a semi-finalist in the 12th annual RBC Canadian Painting Competition and has been featured in solo and group exhibitions, nationally and internationally. Bertram has successfully created paintings that, in neither their composition nor colour, offer little if any referential material for the viewer. The paintings do not suggest anything practical or tangible. 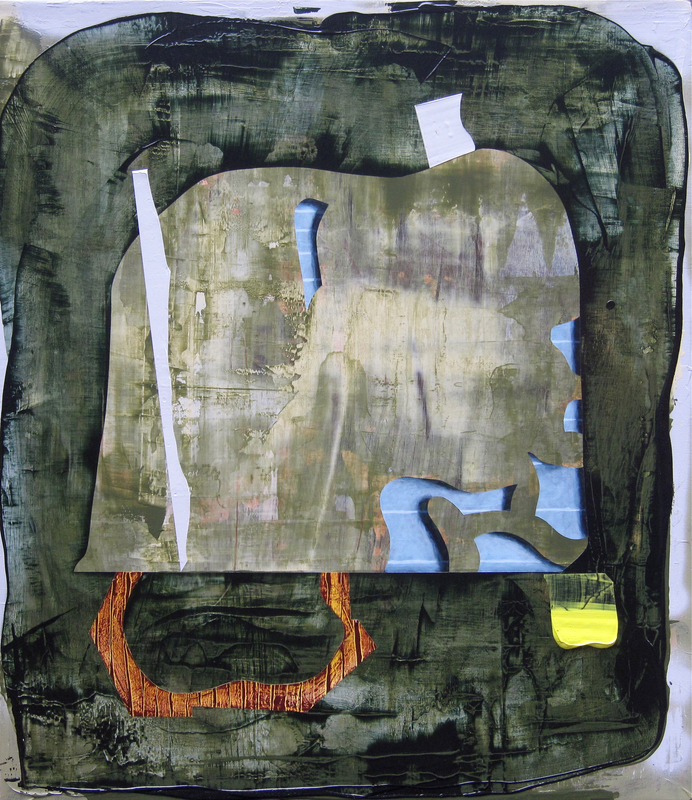 The investigation in hopes of identification quickly passes and the focus shifts from what the composition can be and becomes about what the composition is. The elements of each composition and their application, order, their placement, and relationship to other components as well as perspectival possibilities provide countless considerations. Layering and the extent to which layers below can be seen direct conversations regarding real space, visibility, and distance. The works featured in Syncopate For are inquisitive and commanding, demanding particulars from their audience. The varying applicative techniques and use of materials forces the viewer in for close inspection and then pushes them away in order to consider any discoveries within the composition and further emphasizing the particulars of a view.